As well as being your single most valuable asset, your home carries a high level of emotional attachment, holding many precious memories. The way you feel about it goes way beyond bricks and mortar. So it’s little wonder that when the time comes to sell, it can become stressful if you don’t instruct the right agent. Many agents excel in selling properties at the mid- to lower end of the market, but few truly understand what it takes to sell a one-off, unique property. All our staff are trained specifically to understand the significant difference which comes hand in hand with finding the right buyer for an exclusive home and bringing it to a successful conclusion for both parties. Aston & Co Exclusive Homes is justifiably proud of its track record. We also believe we have our marketing strategy just right, particularly when it comes to the Internet, where 90% of property searches begin. As an estate agent with a wealth of knowledge and practical experience, Aston & Co Exclusive Homes recognises this. The first few weeks of the marketing process are crucial. If the price isn’t right, then valuable time is wasted. And that’s where our expert valuers excel, taking into account a long list of factors and trends, unlike many agents who come up with a figure after a cursory once-over. 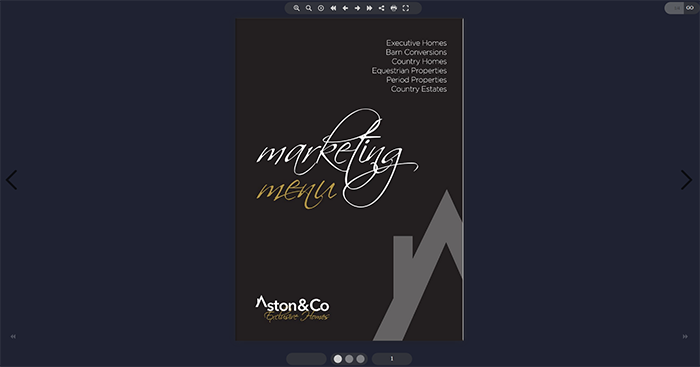 At Aston & Co Exclusive Homes, the attention to detail and knowledge needed for a successful sale is there from the very first meeting.